The Industrial Revolution, during the late 18th and early 19th centuries, brought with it significant changes in agriculture, manufacturing, and transportation. 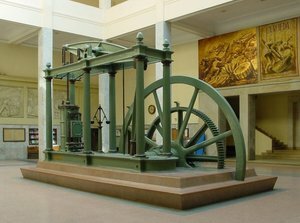 In the latter part of the 18th century, the labor-intensive economy of Great Britain was gradually being supplemented by machinery. For example, the introduction of steam power and powered machinery significantly increased production capacity. The Industrial Revolution provided ordinary people in Europe and ultimately around the world, increased opportunities for employment in the new factories and mills. (To learn more about the Industrial Revolution, see the following Wikipedia entry). With major change, it is common to find resistance from the “incumbents”. For example, a group of English workers known as Luddites organized and protested against industrialization. The Luddites were originally mostly workers in the textile industry. Many found themselves suddenly unemployed – they could not compete with machines. More groups joined, including agricultural laborers in the 1830’s. The Luddites often did more than protest – they also sabotaged factories. Fast forward to today. There have been many smaller revolutions in different industries. In fact, almost every single industry is changing. And not surprisingly, change in those industries have brought resistance from incumbents. The music industry provides a great example. The music industry is at a crossroads. Album sales are decreasing – sales were down 21% during the last holiday season, as compared to the prior year. The trend towards self-publishing is very strong and threatens the very foundation of the music industry. Many professionals are angry about a new marketing program – the “pay what you want” program. The insiders in the music industry complain that the “pay what you want program” devalues music and is a disservice to the entire industry. Let’s look at the facts. 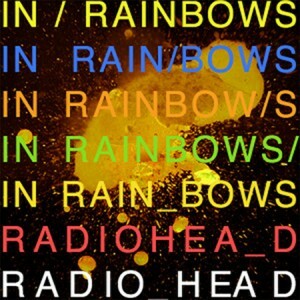 Radiohead, an innovative rock band from England, released their latest album (Rainbows) in October 2007, but instead of releasing the album in stores, Radiohead made it available as a digital download online. In a huge departure from traditional record sales, Radiohead made a novel proposal to its fans – pay what you want. In fact, fans could even “buy” the album for free. Other musicians and record labels complained that Radiohead’s strategy was a failure out of the gate and a disgrace to the entire industry. For example, Gene Simmons, bassist for the rock band KISS, complained that Radiohead’s strategy was contributing to the demise of the music industry. Radiohead’s album and strategy were a resounding success, both personally and commercially. The album was number one in the UK and the US when the album was physically released. Other artists who were not afraid to innovate followed. Trent Reznor, lead singer of the Nine Inch Nails, followed with a “pay what you want” release. In fact, Trent Reznor recorded and distributed the album Ghost I-IV without the involvement of any record company. Many others followed suit. Girl Talk recently released their latest album using the “pay what you want” model. The success of the “pay what you want” program holds huge promise for lesser known artists. There are millions of people around the world who have no way to get noticed in the music industry because major record labels won’t sign them. Musicians now have access to inexpensive recording equipment and distribution over the Internet. Those artists are already on YouTube, iTunes, and many other online sites. And they’re adopting the “pay what you want model” in order to compete. And you know what? Many of them are very good artists. Extremely good.The “incumbents” in the music industry who are holding on to the old ways SHOULD feel threatened. The revolution in the music industry isn’t coming. It’s already here.